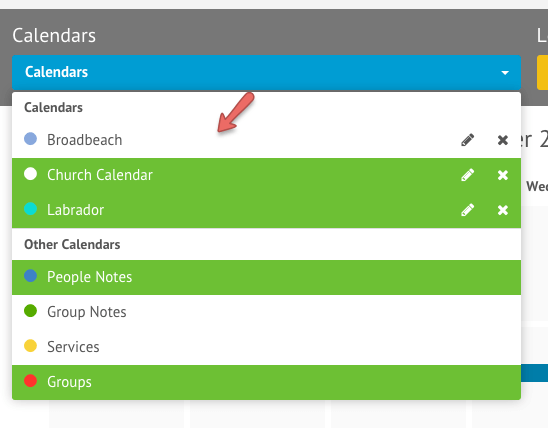 To select the calendars you see in the Admin Area, view the Calendar page, and open the Calendars dropdown. Next select the calendars you do and don’t want to see. Calendars highlighted in green are visible to you. This allows you to control which calendars you are currently seeing in the calendar. Please note this doesn’t affect what is visible in the Member Area, or what other users will see.